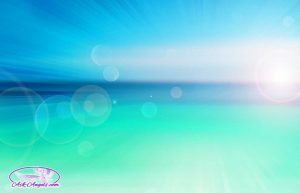 This is the fifth post in a series of channeled messages received from the Guides and Angels of the Light… If you would like to start with the first message in this series... Click Here! The present moment is ultimately where you are able to accelerate your growth, expand your awareness, and empower yourself to connect with your inner power and light. The now moment is where you can access your ability to create reality with your thoughts, perspectives, actions and your beliefs. There is an acceleration of energy, in which you are a part of on your planet. This acceleration is greatly influenced by the forces of your sun, the orb of warmth, light and vitality that allows you to experience life on earth as you know it. Through an energetic shift and acceleration of energy, your sun is playing a vital role in the transformation process, broadcasting light codes of consciousness into your world. Indeed increased light is present now. Crystalline energies of activation are present now. However, it is up to you, it is up to the individual in the now, to choose to incorporate the energies of consciousness. You are ultimately responsible for your growth and for the reality you create. Physical reality in which you live offers you an opportunity to express your creativity through all of creation. Your words hold great power and focus, with specific intent in writing, you actually begin the process of manifestation. Your ancestors long believed writing to be a powerful and special form of magic with influence to create in the physical world. And indeed, every creation now present on your earth, the good and the bad, began with a thought, began with intention. And so, where you are now, a human awakening to your unlimited potential in the light, it serves you greatly to be the active observer of your reality. In your present moment, now practice observing your thoughts and your feelings and your beliefs. And from this place of observation, from the outside perspective of the observer, you are able to see and experience firsthand that you are far more than a physical being. You can take this a step further by calming your mind and opening your heart to tune in to the light energies of your higher self, present in the realm beyond the physical. You are able to go through the process of integrating your spiritual light into the physical realm, and understanding, embracing your power. With a clear mind, focused on the intentions and desires you wish to create in your reality, you can create in the physical world all that you desire. You can accelerate yourself to the highest level of awareness from within the present moment. You are here now and you have already begun awakening. The accelerated energies on the planet serve to help you to focus inward, to recognize the symbols and the patterns of your life. The patterns that have brought you into this very moment, where you are able to consciously project where you are headed. All of your past experiences, including the contrast points both bad and good, were in preparation for this now, when you are able to choose the future you will create. Accelerated crystalline energies on your planet offer you support in this process of expanding and increasing your awareness. But without your conscious choice, this process does not take place. Indeed, you are an important part of this puzzle, for it is your choice to tune in to the new vibrations of accelerated light, and it is your choice to incorporate new energies, ideas and frequency into your life. Within the present moment, your power to create change in your reality exists. You are here to learn how to experience and manifest with energy, to create, using your uniqueness to create a new version of reality by your design. The authentic truth of who you are is an unlimited being, and you are in an illusion of limitedness to learn, to remember your full power to create. All of humanity has this creative power. Each of you, in your now, with your thoughts and feelings and your beliefs, cause your outer world to take form. The long-standing paradigm of fear and control on your earth realm is, of course, still an option for what you may create. However, by releasing the past conditioning and beliefs of your society, of the media, of those in control, you are able to claim the reality you desire; not one rooted in fear and destruction, but a reality of authentic connection and love. In your now, you can begin to make this change. You do this by being peaceful and still and calm, observing your reality and responding to the challenges and changes of life with love. Love activates your cells. Love assists you in remaining in a state of allowing, ready to receive. And it is through this vibration of love for yourself, for others, for your planet, that love brings your being into alignment, so you can integrate, you can choose the lighter frequencies now present on earth. It serves you greatly to affirm and to claim responsibility for yourself, as the creator of your reality, and to empower yourself to release the limited versions of who you are and what you can be, to open to your inner light and your strength, your power through love. And it’s giving love and receiving love. Through this power of love and focused intention, positive changes in your world are made possible. There are signs and circumstances that caused you to doubt. Outside physical situations, corporations, and financial institutions may seem like one of the greatest challenges at this time. But understand from our perspective, we see this as further pushing you to awaken beyond the illusion you have created thus far. An illusion grounded in fear and control and lack. An illusion that you are limited, when in reality your authentic truth is as an unlimited being. The sun, the stars, the cosmos, broadcast waves of energy to earth with the purpose to awaken and empower humanity, for you to fully open to your power as a creative being. And it is through actively observing yourself, your thoughts, your responses, your choices, and your feelings, that you ultimately determine the core belief patterns, and limiting belief systems that rule and create your reality presently. And when you observe this, when you pinpoint these beliefs that limit you, you are able to release them, replace them with the positive thought, with the intention of where you desire to move, of what you desire to create. There is incredible power in this process. And as each unique being of light, member of humanity, goes through this awakening, accepts the responsibility for creating life, then finally, as a collective, you will be able to return to creating an existence of peace and love and harmony as unlimited beings. The ultimate goal of the awakening is to bring you back into alignment and connection with your higher unlimited self. It is true that part of experiencing reality in the now, in which you are, was becoming disconnected from the source of power, from your higher self, and from the knowledge of yourself as a multidimensional being. You chose this separation in order to more effectively learn how to manage energy, how to create in the physical world, and as a sort of experiment. The time of being separated from higher self, and experiencing the illusion of being limited has offered many learning opportunities. But in this now, you can realign with this powerful being who does know your ultimate specific path and purpose here on earth, who does know the creations that will most fulfill and excite you. Your higher self knows what is for your highest good and the highest good of the planet and all humanity. And so, when you accelerate your energy by choosing to lift in conscious love, when you break through the paradigm of limitedness and illusion, you claim this creative power as your own. Your physical body contains great potential too. Nourish the body you are in with good purified water, and natural foods coming from nature. Vegetables and fruits and plants sustain you in a state of balance, and when your body is in balance and functioning in vibrant health, your mind is able to more effortlessly remain clear and calm. With a clear, calm mind and a vibrantly healthy body, you are in the position of power, you are ready and able to set the intentions of what you want, to put them into the magic form of writing, to reclaim your power to create the world around you, and to manifest many blessings in your life. Increased awareness is your purpose now. Actively observing, questioning reality in its current form, ask yourself why things are in the state that they are, and what you can do to contribute to creating positive change. When you are observing yourself in the now, pay attention to the symbolic nature of your thoughts. As you observe the cyclical patterns that have brought you to here, your higher self speaks to you in the language of symbols, sounds, shapes. And by learning to understand what this means, you can know the path of your higher self and highest good. But even if you are not yet aware to this level in the now, choose to be in the now, choose to love in the now, choose to open your heart, open your mind, and experience your world with all your senses. And through your foundation of love, your focus, you are empowered to choose the new energies that accelerate you on your path. Great growth is available now in a compressed and condensed time. The accelerated energy of this sometimes-tumultuous time of transformation brings this gift. And the breakthroughs you experience now, the new levels of light, the positive creations, affect all of existence. The blessings from your remembering your unlimited power flow across the lines of time, bringing this enlightened, empowered energy to all past and parallel and future realities and paradigms. The love you feel in your now can be nurtured to grow, to open your innate psychic gifts and abilities, to focus your creative power, and to bring you into alignment with what you ultimately want, intend, desire in this new energy. The now moment is your opportunity to create change. And love is the fuel, the fire that makes it all possible. Ascension is the process of acceleration, the process of reuniting with your power, with your higher self, with the power of love. Choose love in your now to allow many blessings to manifest in your life. Where you are sitting now, allow yourself to relax. Relax your jaw, relax your neck and your shoulders, relax your mind, relax your body. Tune in to your heart and imagine or visualize golden spirals of light all around you. You are imagining or, rather, tuning in to the crystalline energies of acceleration broadcast by your sun. Relax to allow these energies into your being. Imagine the light swirling all around you. Breathe in deeply and as you inhale, imagine that light is filling your body. And as you exhale, release all tension, fear and negativity. As you inhale, you are filled with light, with love, with vitality. And as you exhale, this love that now fills you is sent out to your world. Breathe in love and light. Breathe out love and light. Breathe in the light to accelerate your vibration, to connect with your truth, to empower your intentions and your desires. Have fun with this. You are a creative being. That is why you are here. You are learning to create with energy, with thought, feeling, emotion, and action in the physical world. Let love be your guide. Let joy be your compass. And with love and joy navigating the continuing changes, navigating the worlds around you, you can transform into its highest level of experience. You can transform into your highest level of awareness. The growth available to you now is unlimited and unending. But you must choose to tune in, in the now, to allow these energies into your body and into your life. Creative control is yours, should you choose to accept, should you choose to release the limitations, illusions, the fears and the doubts of your world. By choosing love, integrating your power, and creating the blessings you deserve and desire in your life, you are unlimited with love and joy as your guide. Follow these, follow your heart and the divine path of goodness, of positive change, will begin to merge with you in your now, as you open more fully to the light and to your power. Click here to access Part 6 in this series of Angel Messages with the Guides and Angels of the Light- Communicating with Your Higher Self. Thank You from My hart! Now I know that Love is The Way!! Thank you so much for this series of messages. I am enjoying them and learning a lot.